Want a luxurious way of telling time? 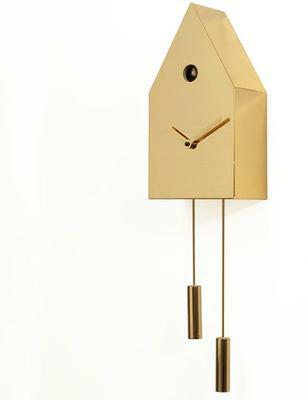 The 24k Cuckoo Clock is a fantastic way of showcasing your love for time as well as sophistication. The minimalist design is an eye pleaser. The clock only features a bird shaped house with clock hands right smack in the middle. Then at the top, there's a small hole where the little cuckoo bird peeks out telling you that it's time. The best part though is that the entire thing is gold plated in 24 carat gold! Yes, it's absolutely divine! The majestic timepiece is something you'd want to keep for a long time. Whether it's at home, at the office or even inside your bedroom; this one is a real keeper.